Alexander J. Chou, MD, is a pediatric oncologist specializing in the treatment of pediatric sarcomas, rare cancers of the bone and soft tissues at Children's Hospital at Montefiore. Dr. Chou, along with his colleagues, provides state-of-the-art therapies to patients with sarcomas in a comprehensive and multidisciplinary setting. Dr. Chou is the Clinical Director of the Pediatric Sarcoma Service at the Children's Hospital at Montefiore and an Associate Professor of Pediatrics at the Albert Einstein College of Medicine. 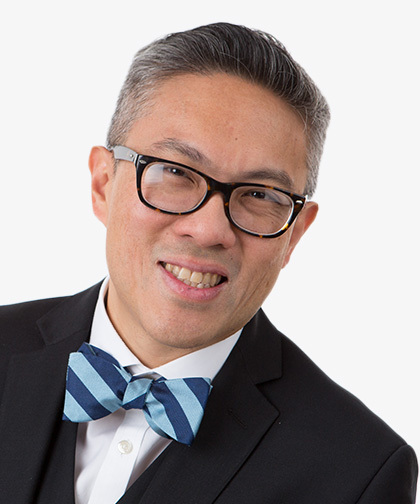 Dr. Chou earned his Bachelor of Arts in Biology in 1994 at the University of Pennsylvania. In 1998, he received his Doctor of Medicine at Cornell University Medical College in New York City. Following this, he completed an internship and residency in Pediatrics at New York-Presbyterian Hospital/Weill Cornell Medical Center in New York City. In 2006, Dr. Chou completed his fellowship in Pediatric Hematology/Oncology at the Memorial Sloan Kettering Cancer Center and the New York-Presbyterian Hospital / Weill Cornell Medical Center. Dr. Chou's research focuses on identifying new and effective agents for patients with recurrent sarcomas. Dr. Chou collaborates with basic scientists and clinical researchers who are part of the Albert Einstein College of Medicine and Children's Hospital at Montefiore to develop new treatments for pediatric sarcomas (osteosarcoma, Ewing sarcoma, synovial sarcoma and rhabdomyosarcoma). He is part of regional, national, and international cooperative group efforts specializing in the treatment of pediatric sarcomas. Many of his publications focus on osteosarcoma and its treatments, as well as other rare childhood sarcomas. Dr. Chou is board certified in Pediatric Hematology/Oncology and General Pediatrics by the American Board of Pediatrics.